We are a boutique consulting firm, specializing in technology, strategy, and execution services. SEP Technology Consulting, LLC ( "SEPTech" ) offers expert solutions to help clients with pressing and complex problems. Our consultants have extensive backgrounds in the fields of information technology, project management, finance, risk management, and operations. This breadth of experience in both the private and public sector enables us to deliver superior results for our clients no matter how complex their business need. 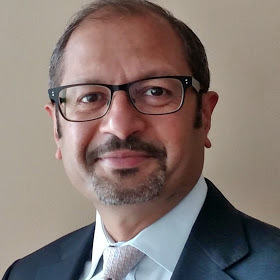 Keyur is founding partner of SEP Technology Consulting.LLC, with over 20 years of experience in information Technology Project Management, Keyur specializes in technology strategy, architecture, project planning, & management. He possesses a very deep understanding of software development lifecycle and software deployment. Keyur has led numerous technology division as CIO and has developed and implemented many technology blueprints for demanding fast-paced environments. He has extensive experience in leading complex initiatives and working with stakeholders on key aspects of each project initiative including analysis and design, risk management, execution planning, cross team collaboration and effective buy-in communication throughout the organization. Rich has an extensive background in business process analysis, operations management, operational risk, program and project management and finance at multiple Fortune 100 companies. A seasoned operation manager with over 25 years of experience. Rich has successfully led technology portfolios with budgets of over $150 million. As a business project manager, Rich has overseen a large team to developers and business analysts in a multiyear development and implementation of a new trading system. As a lead of our public sector practice, Rich has managed one of the largest and most complex multiagency IT programs for New York City. His experience in partnering, advising, communicating and building relationships with organization stakeholders is invaluable in helping clients achieve strategic and tactical objectives.